You’ll find our blog to be a wealth of information, covering everything from local Jupiter market statistics and home values to community happenings. That’s because we care about the community and want to help you find your place in it. Please reach out if you have any questions at all. We’d love to talk with you about Jupiter Fl real estate! 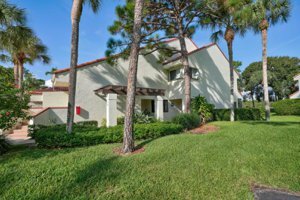 Rare 3 bedroom 2 bath Sea Oats condo in Juno Beach on ground level. Corner condo with beautiful preserve views. Comes with one car garage and pet friendly to 30lbs. Nicely updated with Bamboo flooring in living areas and master bedroom. Newer S/S appliances plus newer A/C and water heater. Impact windows throughout plus accordion shutters. Enjoy sitting out on your patio with no neighbors behind you. Easy one level living. Wonderful ground floor corner unit condo in Sea Oats just minutes to the beaches of Juno. You will find many recent updates in this rare 3 bedroom condo with a private preserve view. Sea Oats is one of just a few beach condos with private garage and pet friendly to 30lbs. Owner recently added Bamboo floors to the living area as well as the master bedroom. Hurricane windows with accordion shutters for year round enjoyment. Newer White plantation shutters on windows for privacy. Exceptionally well maintained home is move in ready with newer A/C & water heater as well as newer S/S appliances. Enjoy preserve views from your tiled screen patio. Close to community pool. Come enjoy this beautiful 3 bedroom condo in Sea Oats just in time for your winter season. Come see why Jupiter Beach homes are so popular. With a nearly private beach Jupiter Beach has become the best place to live in the area. Buyers are moving from crowded areas down South and looking at Jupiter because of the good schools , unspoiled beaches and great waters for enjoyment. Our Jupiter Fl real estate sales report will cover different topics each week. No matter if you are looking for Jupiter Fl homes or homes in the surrounding area we can assist you. 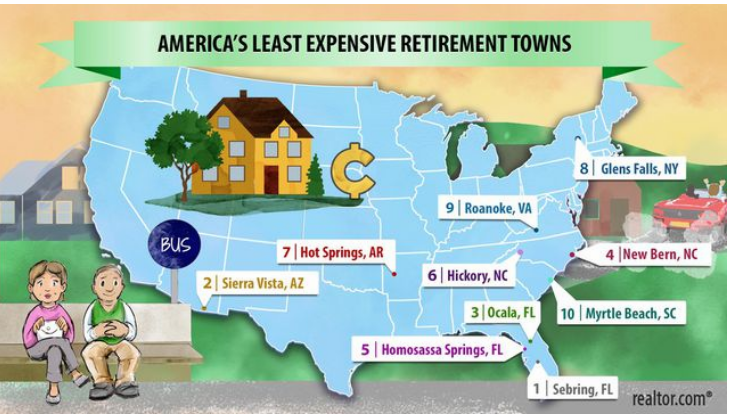 Florida remains the center of gravity for later-life migration flows in the United States. Eight out of ten largest state to state migrations are to Florida. New York, Michigan, Ohio and New Jersey are four of the top contributors to our Florida's growing population. Many of the Mid -West states seem to gravitate to the West Coast of Florida but with the recent publicity of the "Red Tide" we may see buyers looking on the East Coast as an option. This may put additional pressure on East Coast prices which is already suffering from an inventory shortage. We have seem some tremendous growth in the North Central Florida outside of Orlando. 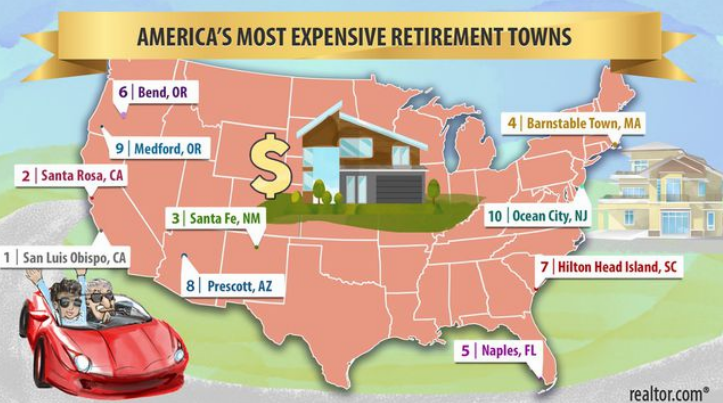 Home prices are more affordable than along the coast and they do have plenty of land for new construction. Here along the Coast we are running out of land and old homes are being knocked down for new homes. Why live in Florida if you aren't near the ocean? I wanted to provide you with some information that I feel may be helpful to you. In our area, we are seeing more and more "Jumbo" purchases. Keeping this in mind, I have two unique lending options for your borrowers other than the standard mortgage options we offer. Bridge Loan - For Short- term borrowing needs, generally when the buyer wants to buy but has not sold their home yet. They should own their current home free and clear or have a very small mortgage. Rate is currently 5.25% fixed, interest only, allowing the borrower up to 12 months for them to sell their existing home. So it's an amazing deal for someone who just needs a short-term loan to facilitate their purchase. I have utilized this on several occasions and it worked out beautifully! Annuitization Loans - This is a paper transaction only: the borrower is not involved, but often when we see a lot of cash assets we may give the borrower (again, only on paper) more income than the tax returns shows. GREAT for Self employed borrowers. Example: A borrower who has $2 million in cash assets (including 401K, broker accounts, etc) as an example. We divide the $2 million by 2, leaving $1 million in savings. We divide the $1 million by 120 months, and would credit them with income monthly then of $8,333.00. We also can close loans in the name of a Trust or LLC. Home sales continue to show a steady pace with predominantly most of the home sales over the last two weeks being under $400,000. Nearly 60% of the sales were under $400,000 with most of the sales being older 1 and 2 bedroom condos. I continue to watch newer properties and updated properties draw the most interest and traffic. Our Jupiter real estate market report has lots of great information for buyers and sellers. We still have a fair share of potential buyers watching and waiting for the right property as well as the right price. I have seen several offers from buyers being turned down by sellers only to see a price reduction a few weeks later. I'm seeing more price changes as many sellers priced their properties to high compared to recent sales in their community If you want to sell, price your property correctly and you will see a sale in a reasonable amount of time. I always like to share stories with you and today I spoke with a customer who has had their home listed for a year. She had approached me back when she listed it and my asking price to her was just under $400,000. Well needless to say another realtor listed it at $440,000 and it's still for sale today. But now it is priced below $400,000 where I originally said it had to be priced. In general our Jupiter real estate market is still suffering from inventory shortages in most communities. In many cases homes are overpriced and we continue to see price changes daily. We see about one price change for every two new listings daily. My favorite are the agents with the $1 dollar price drops in hopes of getting their listings noticed on our daily hot sheets under price changes as well as a price change on all of the websites. Rentals continue to be difficult to find and prices continue to rise for them. Along the beach we have a total of 10 annual rentals available under $2,000/month. Many need some updating just as much as some of the homes for sale. Furnished seasonal Jupiter rentals are another problem where there are just not enough homes for tenants. I have potential tenants will $8,000/month budgets for season and am still finding it difficult to find them a rental. I have one rental left in the Estuary which overlooks a golf course. This is a three month rental at $4,200/month. Call me for additional information. Walk to beach, restaurants etc. If you have any questions about the real estate market feel free to contact me anytime. I'm happy to offer you any advice or point you in the direction to answer your questions. If you or any of your neighbors are thinking of selling or upgrading to a new home feel free to contact me for a market analysis of your home. We offer professional aerial photos, video tours and outstanding web exposure. PLEASE FEEL FREE TO FORWARD TO A FRIEND! If you have any questions about the different areas feel free to contact me for information. I travel and sell the different beach areas so I know what each offers and what each lacks but I will give you my opinion and you can make your own decision. Watch the new listings and especially the price changes in the coming weeks. Feel free to email me and I will setup a search for you so that you receive the newest listings and price changes that fit your buying criteria. If you are looking to buy or sell feel free to call me and see what your home is worth today or what is available for sale here in the Jupiter area. The most important thing you should do when buying a home is to watch the new Jupiter listings each day. Call me and I will setup a search for new listings for you. If you see a property that interests you call me immediately. I will go over and preview the property and give you a detailed description of what the property may need including A/C age or bad sliders. The property may look great with pictures only to find out that new kitchen is just a reface and not a brand new kitchen. Remember an As/Is contract allows you to purchase a property with a 10 day inspection period. During that inspection period you may cancel the contract at anytime without a penalty. This should give you enough time to fly down and see the property without the fear of losing the property. Imagine flying down to make an offer only to find out the property sold before you got here. Sellers see what your house is worth! If you are looking at new construction in Jupiter Florida area you may want to call me to save you money. Developers don't like to discount prices in new neighborhoods but I can negotiate allowances as well as offer incentives back to the buyer to save you money. Call me before visiting any of the new developments here in the area. Our Jupiter top ten listings link can be found on the top left corner under recent Sold's. I added a few new properties this week. Some of the listed properties have sold and I'm constantly looking for great properties to put on my Top Ten List. Take a look and see what new Jupiter condos & homes we have for sale. Curious about local real estate? So are we! Every month we review trends in our Jupiter Fl real estate market and consider the number of Jupiter homes on the market in each price tier, the amount of time particular homes have been listed for sale, specific neighborhood trends, the median price and square footage of each home sold and so much more. We’d love to invite you to do the same! We can definitely fill you in on details that are not listed on the report and help you determine the best home for you. If you are wondering if now is the time to sell, please try out our INSTANT home value tool. You’ll get an estimate on the value of your property in today’s market. Either way, we hope to hear from you soon as you get to know our Jupiter Fl neighborhoods and local Jupiter Fl real estate market better.